Adaptation: Nisekoi, Magical Pâtissière Kosaki-chan!! Nisekoi: OVA is an extra 26 minute episode that was released with a recent issue of the Nisekoi manga. Its plot is divided into two parts. Part 1, also known as, "Honeymoon", centers around the male main character, Raku, and the first four female characters of his harem: Chitoge, Kosaki, Marika, and Seishirou. In "Honeymoon", Raku and each of the four characters share a dream together in which the two of them become married. Part 2 of the OVA is "Magical Pâtissière Kosaki-chan!" It essentially builds off from the first half of Episode 8 from the second season of Nisekoi ("Magical Pâtissière Kosaki!"). Here, Chitoge, Marika, and Kosaki use their magical powers once again to battle the evil leader Shuu. If you're wondering if the scriptwriting improved, you will be sorely disappointed. It uses the same old antics, but even then, the humor is far drier than its parent story. On top of that, the plot jumps all over the place (and since when did Nisekoi ever have a straight plotline? Good question.). As for the characters themselves, they don't change much from the second season, which is to be expected since this is just a single OVA. The art is done well and does not differ much from the second season. The shading is very consistent and the animation is fluid. 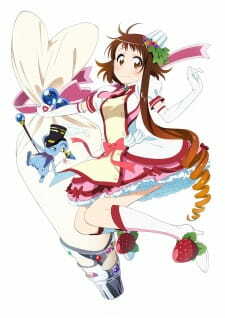 If you pay close attention, you will also notice that Magical Pâtissière Kosaki-chan! pays tribute to some of Shaft's other shows, including Mahou Shoujo Madoka★Magica and Bakemonogatari. Aside from that, I do want to warn some of you that there is some minor fanservice. If you're not interested in stuff like that, I wouldn't recommend watching, but if you're okay with it, go right ahead. The sound in general is decent, but it is certainly far, far from spectacular. Let's just say that it suffices for the context of this episode. Overall, this OVA was pretty poorly done and lackluster. It had its moments, but it ultimately fell flat on its face due to the fact that it was so dry. If you decide to not watch this OVA, don't worry - you're not missing out.